Chase is a powerhouse in the financial industry. The institution estimates that fully half of the households in the United States do business with their company. It’s no wonder — with over 5,000 branches, 16,000 ATMs, and mobile banking, they’re certainly accessible! Chase’s broad collection of product offerings also fit the monetary needs of nearly every business or household. From their stellar credit card offerings, mortgages, and auto financing to loans and payment processing, Chase really does it all. And when it comes to savings accounts, you’ll find not only general savings accounts but specially designed accounts tailored for businesses and military families. If you don’t already bank with Chase or have one of their credit cards that earn travel rewards points or cash-back, you’ll also find that Chase offers incentives for opening a new bank account or signing up for one of their cards. Does it really matter which bank you chose for opening a savings account? Generally, it does if you’re looking to receive the highest interest rate possible. With overall savings interest rates so low, however, there can be other compelling reasons for selecting a particular financial institution. While interest rates are certainly a primary factor in selecting a financial institution, relationship benefits should also be a consideration. Chase savings accounts offer convenient digital tools to manage your account. Image courtesy of Chase. Chase offers a few choices when it comes to savings accounts, but it’s easy to select a perfect match due to the specific account deposit requirements. The basic Chase Savings℠ account is the most popular and the easiest to open. The Chase Savings Account is best utilized as a companion account for a Chase checking account. This is because monthly service fees are waived just for having a reoccurring transfer of only $25 or more per month. Bottom Line: A Chase Savings℠ Account is best paired with a Chase checking account to eliminate monthly service fees and receive the highest interest rates possible on Chase savings accounts. The benefit of having a Chase Premier Savings account over a basic Chase Savings account is a better interest rate. Currently the Premier Savings account pays between .04% and .11% depending on the balance in the account. This rate is for customers who have a linked checking account and meet relationship requirements. Hot Tip: Federal regulations limit withdrawals or transfers from each savings account to 6 per statement period. Fortunately, withdrawals and transfers made in person at a Chase branch or at an ATM do not count toward this limit. Chase offers special savings account benefits for military members. Image courtesy of Marine Corps Cpl. Matthew Kirk. Even more Chase military banking benefits apply to Chase checking accounts. Additionally, Chase complies with the Military Lending Act and charges no annual fees for personal credit cards such as the Chase Sapphire Preferred® Card and Chase Sapphire Reserve®. Hot Tip: Chase offers a Military Survivor program that eliminates the debt of military customers who have been killed in combat action or died as a result of military service. The types of debt that qualify include Chase mortgages, auto loans, credit cards, student loans, and consumer/business debt. Call 877-469-0110 for more information. Another form of short- or long-term savings is a certificate of deposit. Saving money in a Chase CD is simple, and there are no service fees. Customers who have an existing checking account that is linked to a Chase savings account receive higher relationship interest rates on their CDs. You can access current interest rate information here. Pairing your Chase savings or checking account with a rewards-earning credit card ensures you’ll be earning valuable Ultimate Rewards Points or cash-back on every purchase. Keep personal and business savings separate with a Chase business savings account. Image courtesy of Chase. If you operate a small business, every dollar counts. Chase’s Business Total Savings Account works for small businesses that want to keep business banking costs under control. Currently, Chase Business Savings accounts earn between .06% and .13% in interest depending on the balance in the account. This rate is for customers who have a linked Chase business checking account and meet relationship requirements. Interest rates vary of course, but currently you can expect to receive relationship interest rates of .02% to 1.75% depending on the amount and length of the CD. You can access current interest rates for business savings accounts and business CDs here. Whether you’re a small business just starting out or an established business with generous cash flow, a rewards-earning Chase business credit card can help you manage your expenses more effectively. You’ll be earning valuable points or cash-back that can help offset travel expenses or put cash back into your business bottom line. Chase Private Clients (those who maintain a $250,000 average balance with Chase) receive unprecedented benefits. One of those benefits is that there are no monthly service fees on any savings account that is linked to a Chase Private Client checking account. Hot Tip: For more information on the benefits of being a Chase Private Client and the qualification process, access our complete guide. Chase offers generous ongoing incentives for opening accounts. Image courtesy of Chase. Opening a new Chase savings account can earn you money! Whether you open your account online or in your local Chase branch office, bonus incentives can be significant — even exceeding any potential first-year interest earnings. To receive a new account bonus, you’ll need to have a coupon code applied to your application. Visit Chase and open your savings account online, or request a coupon code be emailed to you. You can then take the emailed coupon into your local branch to open your account. Apply online or take your coupon into a local branch to qualify for a new account bonus. Image courtesy of Chase. Depositing a specific amount within the first 10-20 days (can vary) after account opening. The amount is usually $10,000 or more but could vary. Maintain the required balance for a specific period of time, typically 90 days. The money you use to open the account cannot come from another Chase account. After you have met the requirements, your bonus will be deposited into your account within 10 days. Opening a Chase checking account can also earn a bonus, and there may be no deposit requirements. Other requirements such as ongoing direct deposit or a certain amount of transactions can apply. Bottom Line: You may be able to earn a cash bonus by opening a Chase savings account. The deposit requirement is usually quite high, but the bonus you receive may be more than the amount of interest you would generally earn in the first year! Earn up to $500 cash per year with referrals. Image courtesy of Chase. Once you have a Chase Savings account, you can refer your friends and receive cash bonuses. You can earn up to 10 bonuses per year — that’s as much as $500 cash deposited into your account! To invite your friends to open a Chase account, click on the refer-a-friend link and enter your name, zip code, and the last 4 digits of your debit card. You’ll receive a special customized link to share with your friends via email. You can invite up to 25 friends per day. You can also send an email invitation directly from the Chase site by entering your friend’s first name and email address. However, this email can take 3-5 days to be sent. Friends who open an account using your link also receive any applicable new account bonuses when meeting the associated new account requirements. Hot Tip: Chase bank account bonuses are treated as income. You will receive a 1099 income form for the amount of the bonus to utilize at tax time. A long term relationship with Chase can be a valuable financial partnership. And establishing this relationship with Chase can certainly begin with the initial foundation of opening both a savings and checking account. Their banking products are solid and offer the convenience of online and mobile banking, which are necessities today. 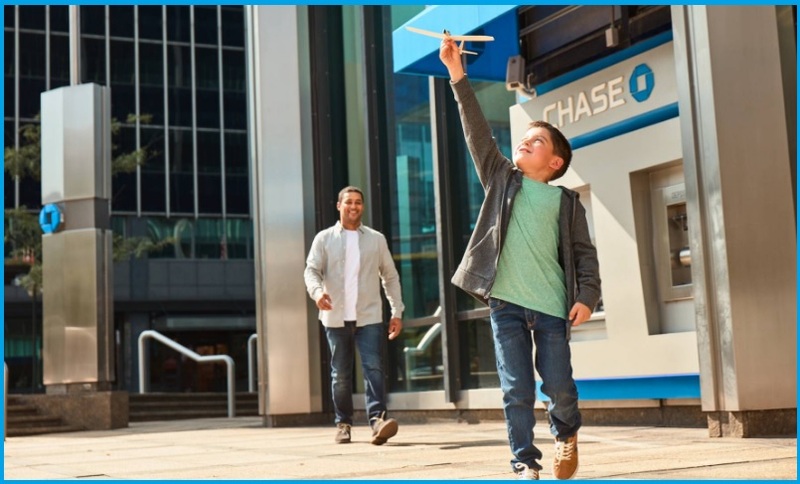 But one of the best aspects of establishing a relationship with Chase is access to their credit card portfolio, where you can earn valuable Ultimate Rewards Points and cash-back while enjoying a variety of travel benefits. Chase excels both in their credit card offerings and their banking product portfolio. Is Chase good for savings accounts? Chase is a reputable financial institution and a fine choice for opening a savings account. To maximize the benefits of a Chase savings account, however, you’ll want to also have a Chase checking account. Having Chase checking and savings accounts linked can eliminate monthly service fees and assure you’re getting the highest interest rate offered by Chase. Does Chase give you money for opening an account? Chase frequently offers bonuses for opening new accounts, both savings and checking. Typically, you must deposit a significant amount of money when opening a savings account and maintain that balance for a 90-day period. The cash bonus you receive, however, could be more than the interest you would typically earn during the first year. For example, you may earn a $150 bonus for opening an account with $10,000. If the interest APR is .9%, you would receive $90 in interest. The bonus can offer a significant return in addition to the interest you receive during the first year. Keep in mind that bonuses are also taxable as income. Do Chase savings accounts earn interest? Yes, Chase savings accounts do earn interest. You will earn at least .01% on your Chase savings account. If you have another relationship account with Chase such as a Chase checking account, you can link it to your savings and you may receive a higher interest rate. Interest rates on savings accounts also vary depending on the balance in your account. Do Chase savings accounts charge fees? The short answer is yes, but you may be able to have those fees waived. For example, with a Chase Savings account, having just a $300 balance in your account at the beginning of each day during the statement period will waive the monthly $5 service fee. You can also avoid a monthly service fee on your Chase Savings account by having as little as $25 per month automatically transferred from your Chase checking account. The Chase Premier Savings account waives the monthly statement fee if you link a qualifying checking account or have a $15,000 balance at the beginning of each day during the statement period.